Happy, Happy Monday! I've been excited to share today's interview with you for weeks. Before I get to it, I just want to say that I know November is probably going to be slower because of NaNo. And it's awesome for those of you participating. I hope you accomplish a lot. I'm not participating but am going to try to focus on writing and getting ready to query throughout November. I am planning a quieter blogging month because of NaNo. But I hope you'll check in because I'll be sharing some fantastic author interviews and book giveaways in November. My contests run for about ten days so you don't have to enter the first day. Just stop by when you're taking a break. Now here's the winners of a few giveaways. The winner of CREWEL is SOPHIA CHANG! Congrats! E-mail me your address so I can send you your books. 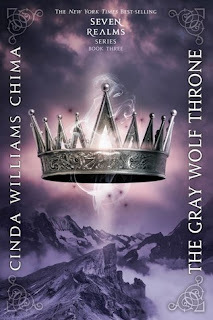 Today I’m so thrilled to have Cinda Williams Chima here to share about THE CRIMSON CROWN, the last book in The Seven Realms series that was released October 23, 2012. Cinda’s books are always on the New York Times best seller list and she’s one of my favorite fantasy authors. I discovered her other series, The Heir Chronicles, a YA urban fantasy, at the library a number of years ago and have read all her books ever since. 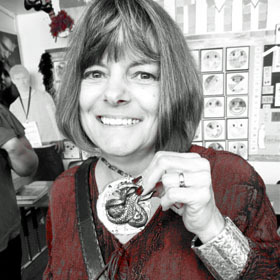 Then I got to meet Cinda at the Michigan Fall SCBWI weekend conference a few years ago. It was the total highlight of the conference meeting her and hearing her wonderful advice on plotting. I couldn’t write fast enough. The Seven Realms series is a fantastic fantasy series full of interesting magic, political intrigue, and a cast of characters that you come to love. It reminds me a lot of The Game of Thrones in its depth of characters and world building. Just preparing for Cinda's interview got me wanting to read the series over again. I'm reading it in audio version this time and loving it just as much. I walk as much as possible to read it. 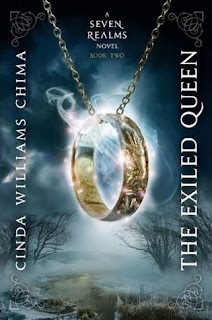 I'm over half way through the EXILED QUEEN, book 2 in the series. 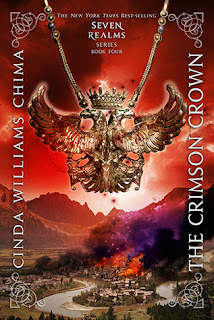 And I just got THE CRIMSON CROWN sent by Cinda's publisher so I can read it before I give it away. I'm about 200 pages into it and it's fantastic. And Cinda does a great job weaving in bits of backstory so you could read it if you wanted without reading the first two books in the series. A thousand years ago, two young lovers were betrayed--Alger Waterlow to his death, and Hanalea, Queen of the Fells, to a life without love. Now, once again, the Queendom of the Fells seems likely to shatter apart. For young queen Raisa "ana'"Marianna, maintaining peace even within her own castle walls is nearly impossible; tension between wizards and Clan has reached a fevered pitch. With surrounding kingdoms seeking to prey on the Fells' inner turmoil, Raisa's best hope is to unite her people against a common enemy. But that enemy might be the person with whom she's falling in love. Hi Cinda. Thanks so much for joining us. 1. Tell us a bit about yourself and how you became a writer. And I know you started out writing while also working as a college professor and then moved to writing full-time. How did that come about? I began writing in third grade and I’ve never stopped. I began publishing work as a freelancer, writing essays and feature stories about parenting and health. For a while I had a freelance nutrition column in the Plain Dealer. (I’m a dietitian, and was a department head in a large hospital system.) But I realized I would never earn enough income as a freelancer to leave my day job. So I made a conscious decision to focus on novel-length fiction, though I knew the odds were against me there, too. I accepted a teaching job in the hopes that would free up more time for writing. Right after that, The Warrior Heir sold; and after that, The Wizard Heir and The Dragon Heir. The Heir Chronicles did well, and so Hyperion offered me a three-book contract for the Seven Realms series. That’s when I quit my day job. 2. That's so awesome you could move to being a full-time writer. Many of us dream of that. For those who haven’t read any of the books in The Seven Realms series, tell us about the series. While I was shopping The Warrior Heir, I began writing a high fantasy series for adults called The Star-Marked Warder. I’d read the first few books in George R.R. Martin’s Game of Thrones series, and I loved what he did with character. No character was totally black or white—they were all heroes of their own stories. I was 500,000 words in (!) when The Warrior Heir sold. I put the books aside and refocused on YA fiction. When I’d finished The Dragon Heir, I wanted to return to high fantasy, but still wanted to write for teens. So I took some of the characters I created for The Star-Marked Warder back to when they were teenagers. The Seven Realms series is a kind of “redo” of a tragic romance between a wizard and a queen that nearly destroyed the world. I’m intrigued by how people are imprisoned by history. 3. So glad you made this a YA series. And if The Seven Realms is a "redo", it's a very unique one. I’ve read that you didn’t outline this series. This is a four book huge high fantasy story filled with a long list of characters, more than one type of magic, and multiple settings that you share through the different books. (Guys if you go to Cinda’s website and check out her pages on this series, you’ll see what I mean.) How do you plot it all out and keep it straight? What tips do you have for the rest of us contemplating writing a series? I’m not sure I’m a good example for anyone! I sold the series on the basis of a sixty-page sample. Those sixty pages ended up in the third book, The Gray Wolf Throne. I knew the characters very well, and I knew how it all ended, because The Seven Realms is a kind of prequel to The Star-Marked Warder. I would love to have an outline to work from. It would be a lot less like leaping from a cliff. Remember, once the first books in a series are in print, you can’t go back and revise them to match some new idea you’ve had in book four. Don’t ever let anyone tell you there’s only one right way to write a first draft. You have to figure out what works for you. The Seven Realms series was intended to be a trilogy, but ended up as a quartet. That’s what happens when you don’t outline. 4. Sounds like it helped a lot to know the end. And you're right, book one does set some things in stone. One of the strengths of this story is the fantastic world building. From the wizards whose powers come from amulets, the clans who control the amulets, Hans’ magical powers and his family past, Raisa’s magical powers as queen, the connection between her and Amon, her friend, once he becomes Commander of the Gray Wolves, the magic alone is amazing. And I haven’t even mentioned the cool settings. Tell us about your world building process and what advice do you have on creating a rich, new world like you have? I’m a build-as-you-go kind of person! When I began writing The Star-Marked Warder, I drew a map, and kept adding cities and features to it as my characters traveled around. For me, the magical element in fantasy is just one more source of conflict. I loved the notion that the Clans and Wizards hate each other, but they need each other, too. My magical systems are subtle. Gifted people are able to channel energy that catalyzes material change. So nobody is changing a lamp into a cat. I also suggest thinking very carefully about the rules of magic when writing the final draft. The gift of clairvoyance, for instance, makes it very difficult to get your characters into trouble. When I began writing The Seven Realms series, I’d already lived in that world for 500,000 words. I knew it very, very well. I think that intimate knowledge supports what’s on the page. So my advice is to live in the world you create. 5. Great advice. And I'd love living in the world you created.. I’ve loved Raisa and Han, watching their journeys alone and together in the series. It really added a lot to the story that you alternated between them as the POV characters. I can’t wait to see what the future holds for them in THE CRIMSON CROWN. Which was the more challenging character for you to develop and why? I’m going to cheat and say both of them. At the beginning, Raisa is self-willed, naïve, and a little spoiled. And readers would write to me and point that out. I’d be thinking—princess? Hello? Some readers had a hard time with the fact that she’s fickle. Her goal is to kiss as many boys as possible before she gets married off to serve a political agenda. The Gray Wolf queens have a lusty past, notably her ancestor, Hanalea, whose love affair nearly destroyed the world. But Raisa has a good heart, and good instincts. She would be a better queen at sixteen than her mother at any age. It was fun following her character as she develops the street-smarts to survive in a ruthless court. Han is a bit of an archetypical character—the honorable thief. The bad boy. Archetypes happen because they work so well in story. Happily, the same attributes that allow him to thrive on the streets serve him well when he comes to court. Han’s language was a challenge. Over the four books, I had to transition him from a kind of street slang to language that would serve him at court. Much of his slang comes from 18th century thieves’ slang in Great Britain. 6. Tell us about your road to publication both in obtaining your agent—I’ve read you’ve had more than one—and your publisher. On my last agent hunt, I sent out 24 queries, had requests from two, and signed with one of them. You don’t have to know someone to get an agent. The very best thing you can do is write a fantastic book and a decent query letter. My first agent sold The Warrior Heir, the book I’d been shopping for four years. 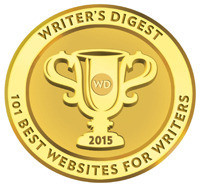 For me, finding an agent was the key to finding a publisher. Any writer of novel-length fiction should have an agent. 7. Great to know that if you persist like you did that you can get your book published if it's good, like yours are. THE WARRIOR HEIR was the first book of yours I read and then I was hooked on all your books. Your books are hugely popular, making the New York Times bestseller list. Your publisher didn’t even use ARCs for THE CRIMSON CROWN. What’s your advice on successful marketing as an author and what’s essential for a debut author marketing his or her first book? Nobody knows how to successfully market a book, that’s the problem! 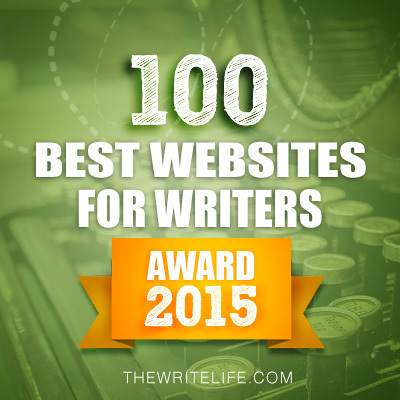 Again, the most important thing to do is write a great book. If you have a choice between attracting 3000 followers on Twitter and honing your writing skills, focus on the writing. It will serve you best. For The Warrior Heir, there was no national author tour, etc. Who would’ve come? I was employed full time so there were limits to what I could do. My publisher sent review copies to librarians, bookstore owners, and reviewers. I think a website is key—or at least a point of contact on the web. But I don’t think you have to set up a website before you find a publisher. Unless you can do it yourself, it’s expensive, and you have to keep paying for updates. 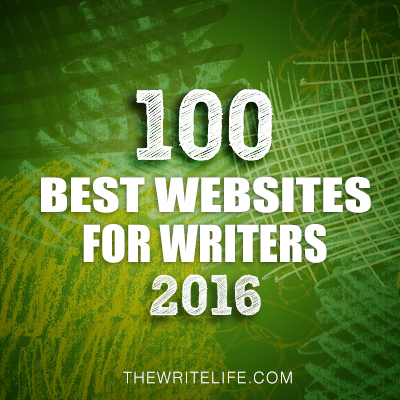 Blogs can be a point of contact on the web, and there are blog and website templates out there that can make it easy. Make sure that if somebody (editor, agent?) goes looking for you they can find you. Also, take a look at your online presence—is it professional? You want them to like what they find. It helps to marry talent. 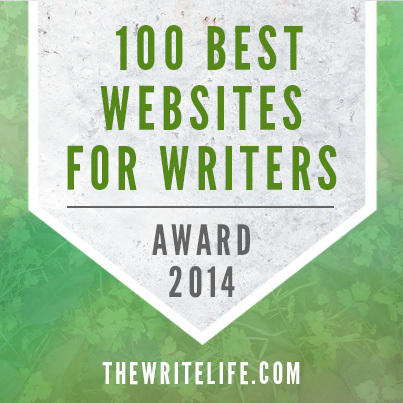 My husband designed my website after The Warrior Heir sold, and still manages it. The Warrior Heir landed on the Indie Next list, which brought it to the attention of indie bookstore owners. I contacted local media, local libraries, did some library and school programs for free. Whenever I traveled for business or pleasure, I’d contact local bookstores and ask about doing an event, or simply stop in and sign stock. I was fortunate that the chains have carried all of my books. Covers are still huge, and my covers have been awesome! The author doesn’t have control over that, but I’ve always had input into my covers. The wise author is ready to answer that question when it comes. The cover makes a promise that the book keeps. Word of mouth built the Heir series. The Warrior Heir sold well enough to get me a contract for a second book. The Wizard Heir got me a contract for The Dragon Heir. And The Dragon Heir landed on the New York Times list. That made a big change in what my publisher was able to do for me. 8. Wow! Such great advice here. And glad to know that you can be successful published author while working full-time, which is how I'd have to do it. What are you working on now? Right now I’m working on a new Heir Chronicles novel, tentatively scheduled for fall, 2013. Thanks Cinda for sharing all your great advice. I can’t wait to read the next book in The Heir Chronicles too. You can find Cinda at her website and on Facebook. 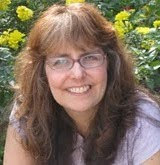 She tweets @cindachima On the website, check out Help for Writers, where she answers FAQs about writing and the publishing business. Cinda's publisher has generously offered a copy of THE CRIMSON CROWN for a giveaway. To enter, all you need to do is be a follower (just click the follow button if you’re not a follower) and leave a comment by midnight on November 10th. I’ll announce the winner on November 12th. If your e-mail is not on Blogger, please list it in your comment. And don't forget to enter my other awesome giveaways listed at the top of the blog. On Wednesday, I'm interviewing our follower Angela Brown about her debut book NEVERLOVE and Gwen Gardner about her debut book GIVIN' UP THE GHOST with book giveaways. They are both great paranormal books and Angela and Gwen have joined forces for their book releases. It's going to be a fun interview for Halloween. Next Monday I'll be interviewing a teen for my ASK THE EXPERT series and sharing THE SPINDLERS by Lauren Oliver with you and giving away two copies of it. I'm a huge fan of Lauren's and I was excited to get an ARC. The world building in her new book is amazing and it's a great story. Next Wednesday I'll be participating in a blog tour for debut author Lea Nolan and giving away a copy of her new book CONJURE. The awesome Elana Johnson is organizing her blog tour and I was excited when she asked me to be part of it. Lea's book is about hidden pirate bounty and unleashing a Gullah curse and sounds fantastic. Next Friday I'm hosting debut author Chris Howard and giving away a copy of his book ROOTLESS, a dystopian world about a world about trees. Does it sound like a unique dystopian story? I wasn't a huge fan of the Heir Chronicles, there was a lot of dirty language, but I'm really glad I gave Mrs. Williams another shot. The Seven Realms blew me away. I haven't read Crimson Crown yet,though! Great interview. I blogged and put it on the Book of Face. So cool you got to meet Cinda! I just love these books! The covers are amazing, so drawing to the eye. And of course, I'm a follower. Wow, these books look amazing! Nice to meet you, Cinda! I've been craving for a good fantasy novel to satisfy my hunger after Eon/Eona. And I've been eyeing this series for a time now. I can't wait to get my hands on them! Great interview! I am so excited for this final book! What a great interview. Thanks. I can't wait to read The Crimson Crown! If only I didn't have to much school work, ugh. Glad to meet Cindy and learn about her books! Thanks. Fantastic interview - I ADORE Cinda's books! Can't wait to read THE CRIMSON CROWN! Interesting to hear about the rules of magic. 500k pages is a lot of keep track of, I'm sure! Thanks for the interview! 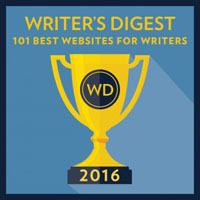 Great advice for writers and the book sounds awesome! My e-mail is meganclements4 [at] yahoo [dot] com. I love these books. I can't wait to get my hands on the newest one. Good luck with querying in November, Natalie! Very thorough interview, as always. These books sound fascinating, but I've yet to read the first one, so please give this to someone else. Awesome! I especially love this advice: "Don’t ever let anyone tell you there’s only one right way to write a first draft. You have to figure out what works for you." OMG i want to win! :D such epic awesomeness. Thanks Jessica. That was sweet of you. I know a number of writers who signed with the wrong agent. All agree that no agent is better than a bad one. And most of them saw the red flags but ignored them. My 11-year-old son is hard to please (oy, so hard to please) but he loves Cinda's Seven Realms series - thanks Cinda for something Zach actually enjoys!! We would love this book, but honestly, we'll buy it anyway. He's already devoured the previous books of hers! A student I had last year got me started on these books! Thanks for the giveaway. Its better to wait for the right agent who loves your work and is the perfect champion for it. Getting stuck with the wrong agent is a recipe for disaster. Congratulations to the winners! I'm really envious! These books are exciting. Thank you for the giveaway. Love this series! Count me in! Hello, everyone! Thank you for all the kind comments--I agree! My covers are awesome! What you hope for is a cover that makes a promise that the book keeps. Good luck in the giveaway and come see me on the web! This series is amazing! The fantasy world and characters just seem so real! I'm so bummed I didn't get my hands on this series sooner. I must get copies of all her books! Loved the interview! Thank you for the great advice Cinda! My students love this series! Fabulous interview; my students will be thrilled to hear about the upcoming Heir book. Thanks for the giveaway.